ONB Interviews Steve Belyea on BASE and His Empire of Radio Remote Controls — Fuel Transfer Automation | BASE Engineering Inc.
After BASE’s Export Awards win in the summer of 2014, Heather MacLean of Opportunities NB (ONB) sat down with Steve Belyea, CEO of BASE Engineering, to discuss his success story and his company of radio remote controls. BASE Engineering is a market leader in radio remote control technology having now deployed more than 75,000 systems worldwide. With clients located in nearly every corner of the globe, BASE chose the most strategic location they could to build its world class facilities. They chose Saint John, New Brunswick. 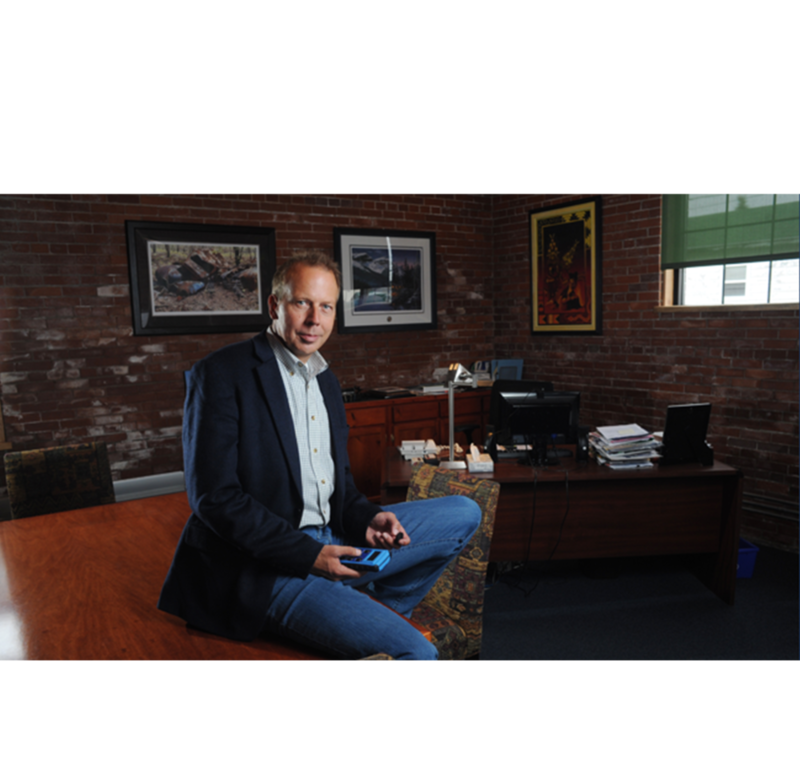 Opportunities NB (ONB) wanted to learn more about this New Brunswick success story, so we spoke to Steve Belyea, President and CEO. ONB: BASE Engineering won the 2014 New Brunswick Export Award for Exporter of the Year. Can you tell us what that meant to you and your business? Belyea: It was great to be recognized for our export work. We decided on day one to ignore any and all borders where possible, and promote our technology around the world. Our efforts in the United States have paid huge dividends and we are the market leader in our space. I think the export award is reinforcement for our staff that we are doing a world class job – I am very proud of them. ONB: BASE Engineering focuses on the petroleum industry, specifically developing radio remote control technology. Can you go into that technology a bit more for us? Belyea: Nearly twenty years ago we saw an opportunity to apply electronic technology in areas of the petroleum industry that were previously very manual or mechanical. We developed safety controls that would allow faster response to hazardous emergencies and allow the operators to respond to leaks and fires from a safe distance by remote controlling the petroleum tank and pipe valves and pumps. This initial product has grown into an entire catalog of remote control solutions for the gas and oil industry that now includes tanker trucks, fuel storage facilities, offshore and land based oil rigs, aircraft refueling, and ship refueling. We’ve also just installed a system at Virgin Galactic’s new Space Port America in New Mexico. ONB: What countries are you currently exporting to? Belyea: Primarily the US but we also have excellent distribution in the UK, Australia, New Zealand, Italy, Turkey, Poland, Spain, Czech Republic, Israel, Chile, Brazil, Panama, Mexico and several other countries. ONB: What country do you export most to? Belyea: The United States due to its proximity, market size, and cultural similarities. ONB: Your company could be located almost anywhere. Why did you choose New Brunswick? What is it about New Brunswick that has helped your company become so successful? Belyea: We were born and raised here – my family has been here for 250 years – this is home. Our way of life outweighs the travel and winter challenges. Also, I think our people are genuine and have a great work ethic – I truly believe that we have the best people we could find anywhere on the planet. ONB: Do you partner with any other New Brunswick companies to deliver your products? Belyea: In terms of the supply chain, yes. We partner with as many local and regional companies as possible to secure our inventory and service needs. These relationships go back to our beginnings when we were a high risk and we haven’t forgotten the value these relationships add to our business. ONB: Would you say there is a cluster of great companies that support the petroleum industry in New Brunswick? Belyea: I think that cluster is developing right now, certainly. Traditionally, there have been few players in this space within the province but with recent natural gas, pipeline, and exploration initiatives, we are seeing increased momentum and opportunity.